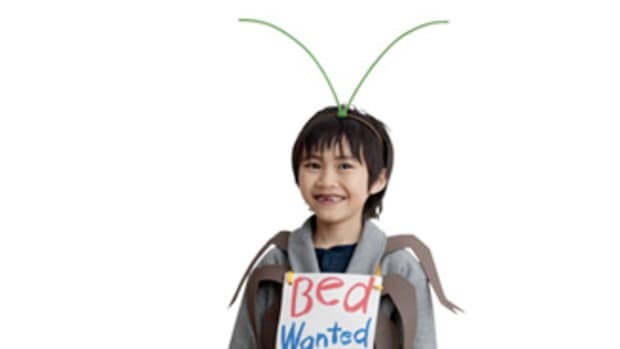 Maybe you’ve thought ahead this year and are already on your way to putting together your child’s perfect Halloween costume. 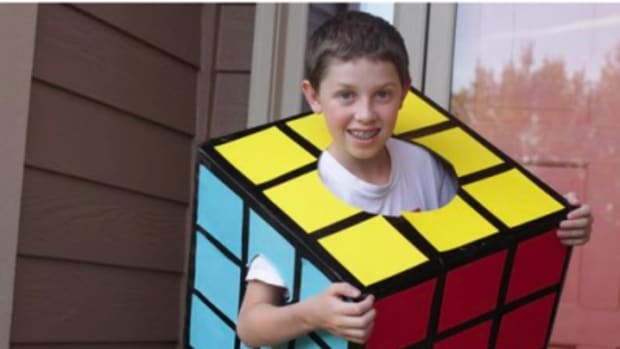 Maybe you’re in the other camp thinking, “What in the world is my child going to dress up as?” Either way, I think you’ll find this roundup an inspirational list of easy DIY kid’s Halloween costumes! 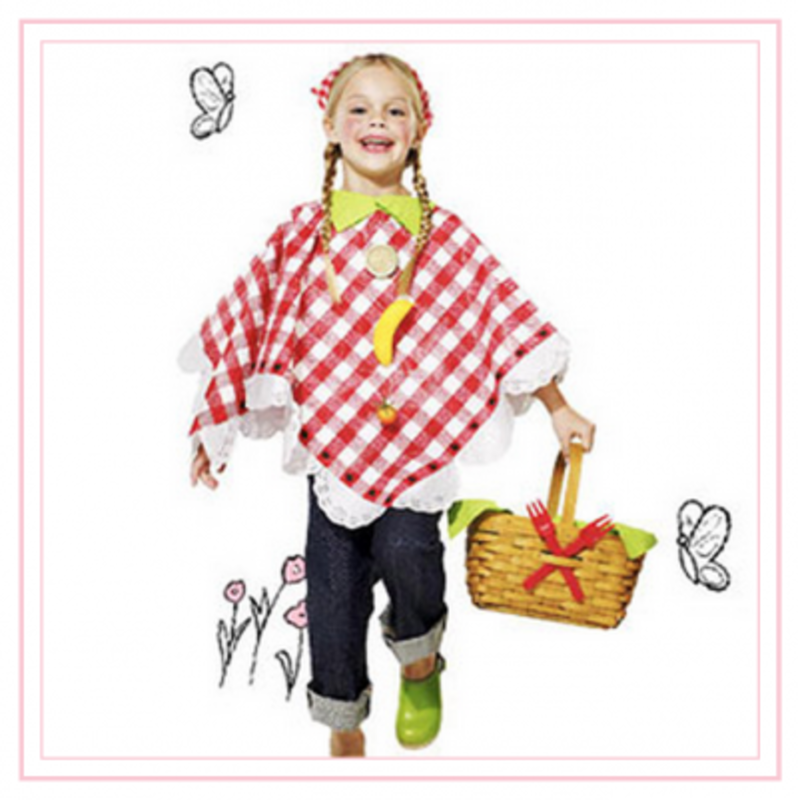 Now how cute would this be to dress your baby as a Cabbage Patch Kid? 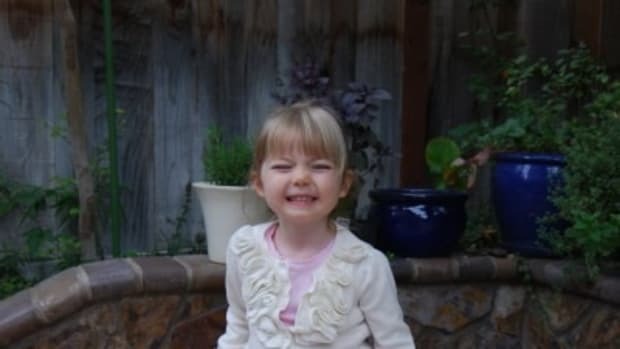 Awesome idea from iVillage. 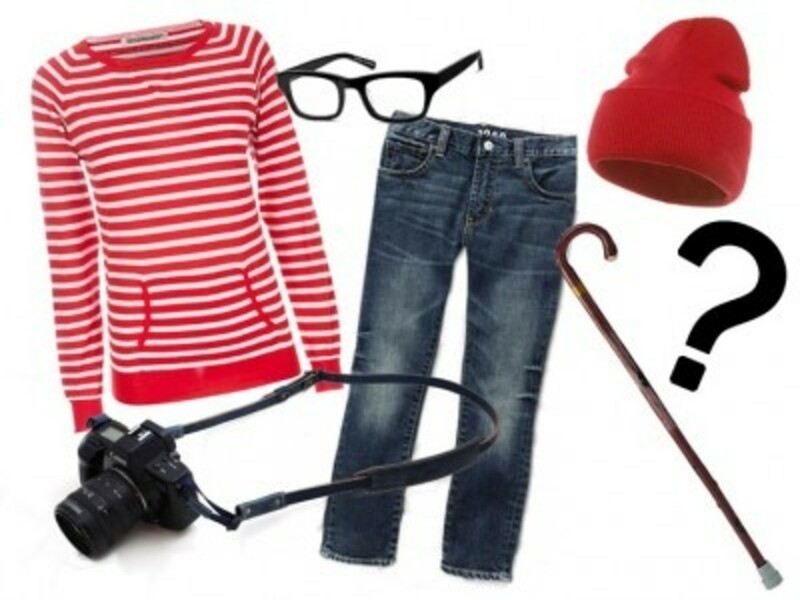 My kids LOVE Where’s Waldo. This idea from ecouterre would be so easy to put together! 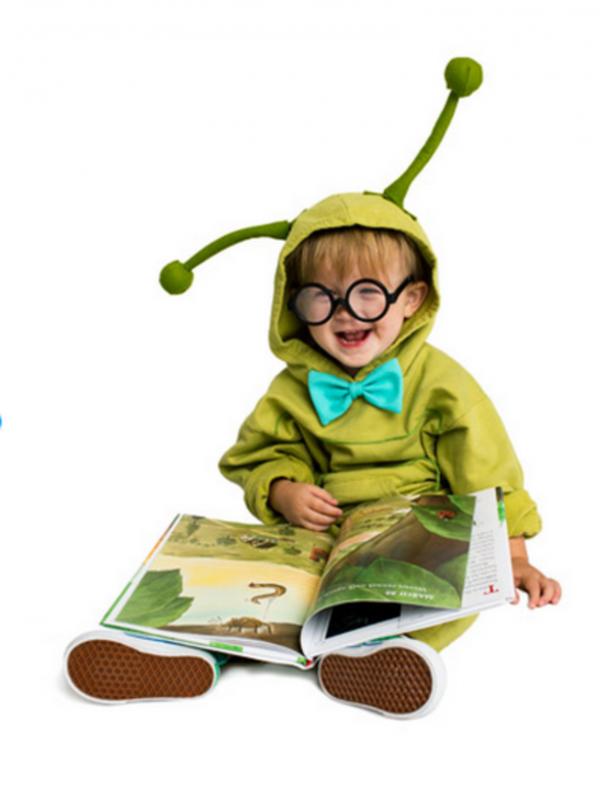 Your toddler would look so cute as a little Bookworm! Excellent idea from Real Simple. 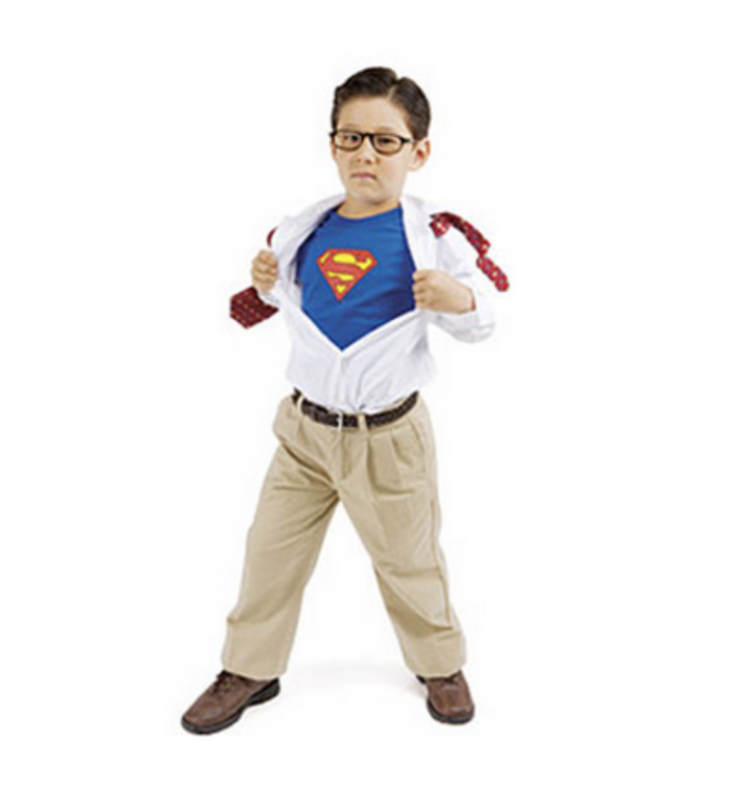 Quick and Simple has a quick and simple idea with this Clark Kent Supermancostume! 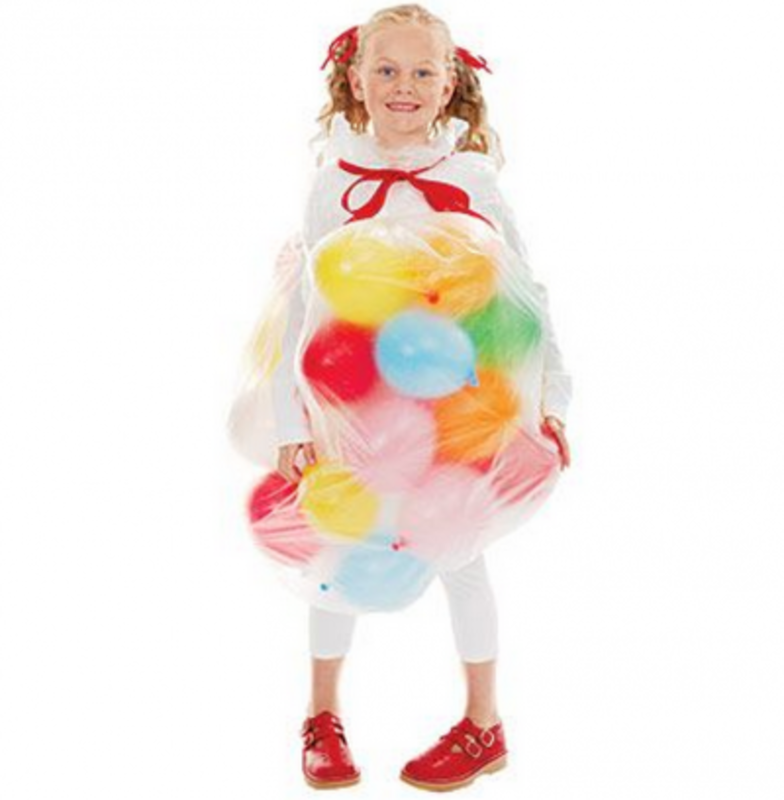 Another great idea from Quick and Simple…love this Jelly Bean Costume! 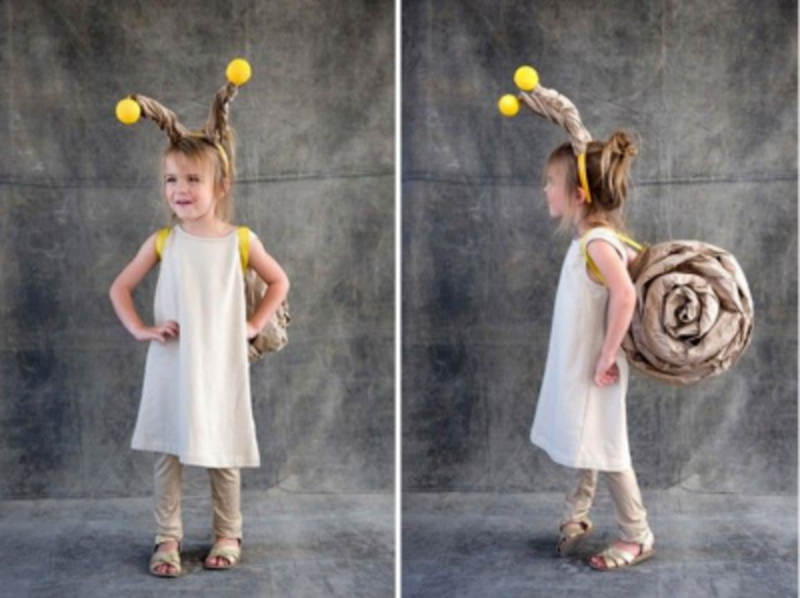 Another cute idea from iVillage…a Snail! 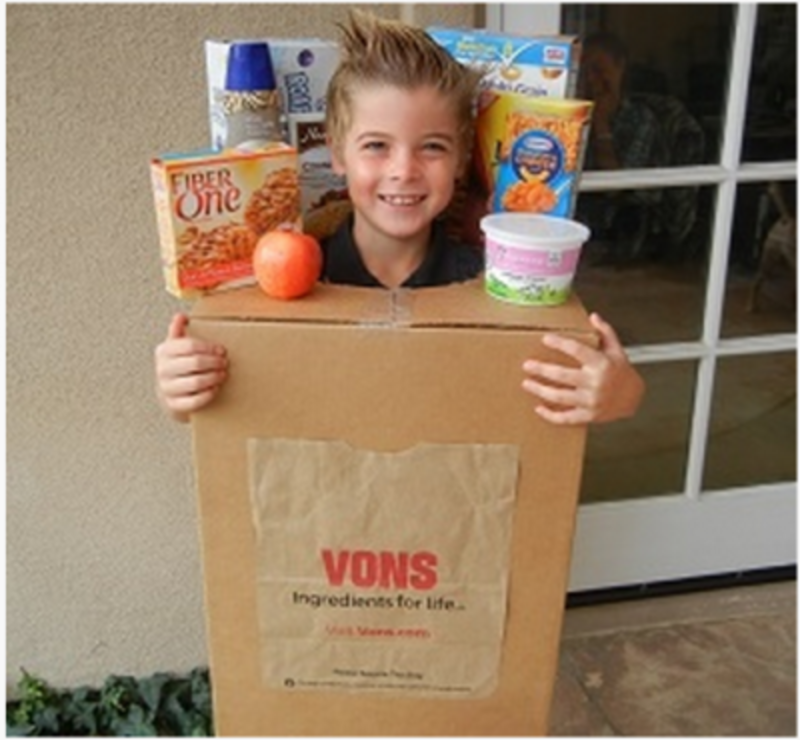 Super Moms 360 has a great idea for dressing up your kid as a Bag of Groceries! 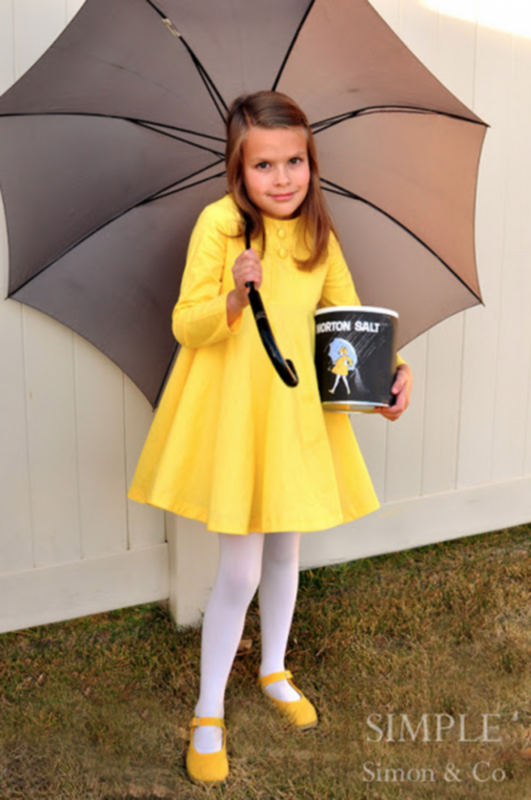 Love the classic look of the Morton Salt Girl from Simple Simon & Co. 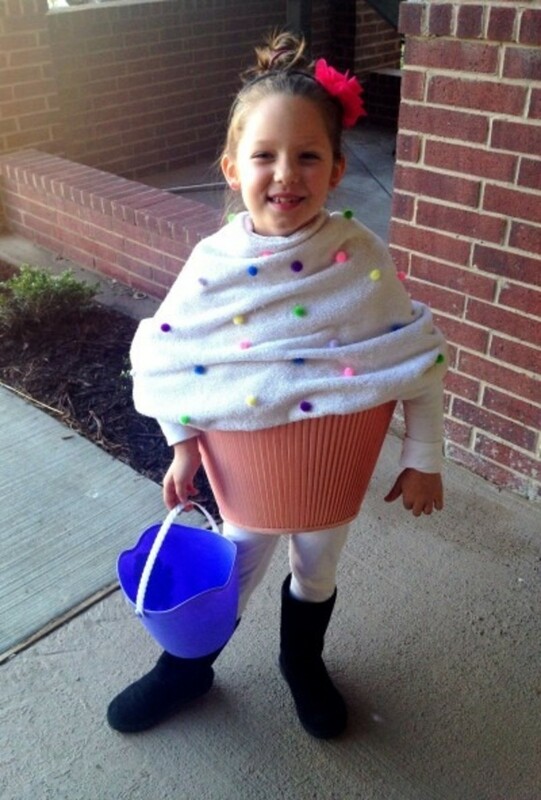 I couldn’t find the original link to this super cute Cupcake costume (Pinterest link), but it looks like all you need is a lampshade, a towel and some pom poms! So cute! Who doesn’t love a good picnic? 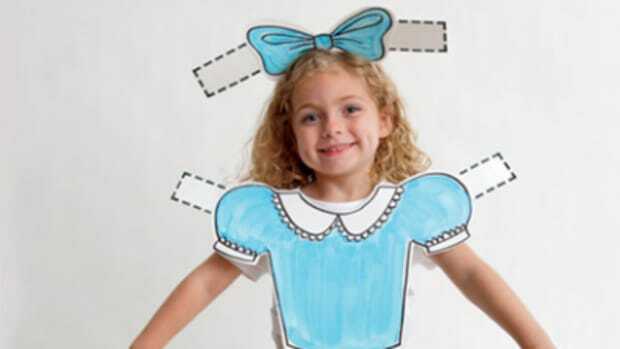 Love this idea from Parents to actually dress up as a Picnic Lunch! 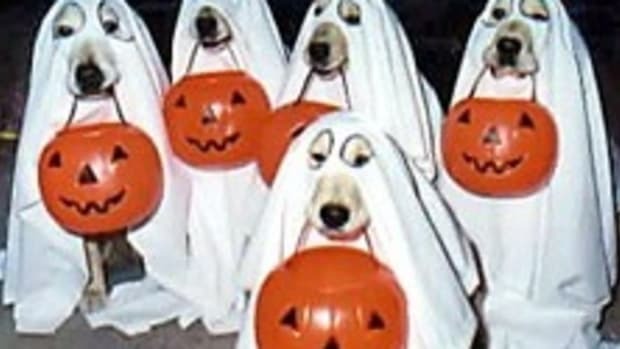 That’s my edition of fav Halloween costumes! 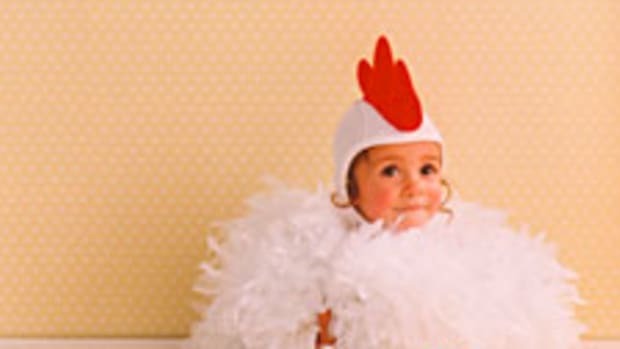 Have fun being creative and dressing up!